In this post, I have tackled one of the problems experienced by iPhone 6s (#iPhone6s) owners after getting the latest iOS 9 update, particularly on visual voicemail that is not working. If you are experiencing the same post-update problem or any of the relevant symptoms as listed below, then this content might be able to help you out. All you wanted was to keep your iPhone up-to-date, so you’ve decided to get the latest iOS 9 firmware update that promises a number of significant enhancements as well as bug fixes to certain iDevices like your iPhone 6s handset. But what if instead of having a smarter and better iPhone after the upgrade, what you are actually getting are various issues affecting the overall performance of your phone? Of course, you’ve got to find a way to fix the problem and get your device up and running flawlessly again. 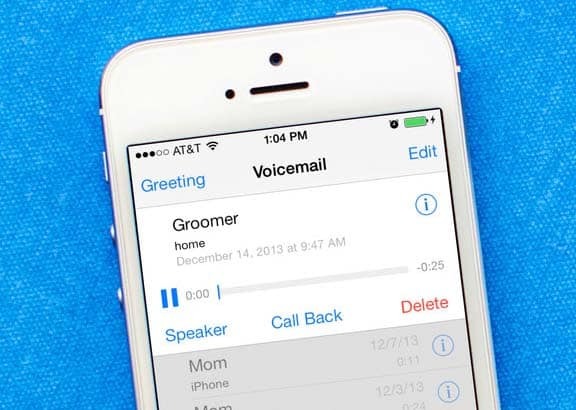 Read on to learn how to deal with post-update issues on your iPhone 6s voicemail services. The following workarounds are used to deal with any of the aforesaid symptoms. These are deemed potential solutions that are recommended by Apple and other iPhone owners who have encountered similar issues concerning visual voicemail services, after upgrading their device. Be sure to test your device after completing each workaround, to see if the problem has already been fixed. Proceed to the next available method if needed. Important Note: Before you start, make sure you can access the Internet using mobile data on your iPhone. A reboot is often suggested and/or required after making any changes to the device software, including new firmware or software update installation. Often times, a device needs a restart for the new system changes to take effect accordingly. To reboot your iPhone, press and hold the Sleep/Wake button until the red slider shows up. Drag the slider to power off your iPhone completely. After a few seconds, press and hold the Sleep/Wake button again until the Apple logo appears. Verify if voicemail is set up on your iPhone. Tap Phone from the Home screen. Tap the Voicemail tab on the bottom-right corner of the Phone dialer screen. Enter a password for the voicemail account and the tap Done. Re-enter the password to confirm and then tap Done. If you want to use the default greeting, leave the Default option checked and tap Save. To record a personal greeting, tap Custom. Start recording your personal greeting by tapping on Record, and then tap Stop when the recording is done. Note: Visual Voicemail must first be set up before you can access your voicemails on the device. If you’re seeing an error prompt saying Visual Voicemail is unavailable or relevant errors, then resetting the network settings on your iPhone might be able to fix the problem. Toggling the Airplane Mode switch from OFF to ON and then back to OFF can also help rectify issues associated with visual voicemail services. To do so, go to your iPhone Settings-> Airplane Mode. Turn it ON, and then after 30 seconds, turn it back OFF. After that, allow your phone to start fetching voicemails. It could take a while depending on the number of voicemails you have. Disable Wi-Fi on your iPhone. Turn off Wi-Fi and ensure mobile data is activated. Remember, visual voicemail uses mobile data and not Wi-Fi. To disable Wi-Fi, go to your iPhone Settings, tap Wi-Fi, and then tap the switch to disable or turn Wi-Fi off. To enable mobile data or cellular data, go to Settings, tap Cellular, and then toggle the switch next to Cellular Data to turn enable or turn mobile data on. If the toggle switch is green, it denotes mobile data is already activated. Network issues may also hinder you from accessing visual voicemail. For example, your iPhone is getting poor signal strength or no network coverage. To ensure your network is fine, you can check mail first or open a website to see if it goes through. Otherwise, go to an area with good network coverage and then try to use visual voicemail service on your phone again. You can reset the voicemail password by logging in to your carrier’s website or contact customer service for voicemail password reset assistance. After resetting your voicemail password, navigate to the Voicemail tab on the Phone app. A new screen will then prompt you to set up your voicemail. Follow the onscreen instructions to complete the process. If none of these is able to fix the problem and visual voicemail is still not working on your iPhone 6s, please contact your carrier to verify and ensure voicemail feature status on your account is good. You can also request further support for them to access and manage the voicemail account for your phone number and ensure everything is properly configured. Update your carrier settings, if needed. Aside from firmware update glitches, inserting a new SIM card on your iPhone can also inflict visual voicemail problems to occur particularly losing visual voicemails that are saved on your iDevice.